Life is a series of choices and resulting consequences; Quantic Dream plans to make Beyond: Two Souls a lifelike experience. If every time you went to make dinner, watch a movie, or -- say -- run away from the police, and an array of yes or no choices literally appeared before your eyes, life wouldn't seem quite as seamless. Often we make choices without realizing it. Beyond: Two Souls, the next game from Quantic Dream, hopes to replicate that. "What we're trying to do is emulate life," creative director David Cage told Polygon. "Which sounds very arrogant and ambitious, but at the same time the ultimate goal is to have an experience that will be like life is." Quantic Dream's previous game Heavy Rain was also heavily choice-based. With multiple playable characters and different endings, many choices would float around the character's head, and the player would have to choose which actions to take, often not knowing what the consequences would be. 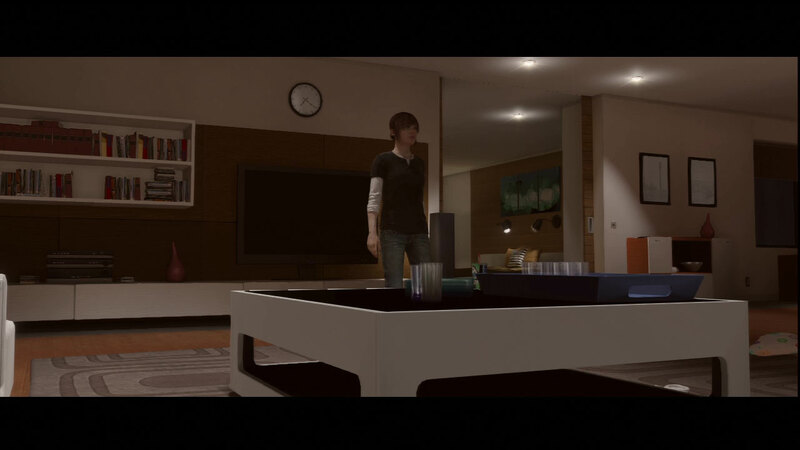 At one point in Beyond: Two Souls, Jodie Holmes has a date. The player can either clean up the apartment or lounge around and interact with various items in the apartment. The players' actions dictate how her date that night goes. Outcomes are not revealed to the player before the choices. While a dirty apartment disgusting a date isn't a hard conclusion to find beforehand, the implied choice system creates various paths for the story to reach. "We spent a lot of time doing user tests and a lot of people who played it said it felt really linear because there were no obvious choices presented to them," Cage said. "But that's because everything was organic and implied." Beyond: Two Souls comes out for the PS3 on Oct. 8.